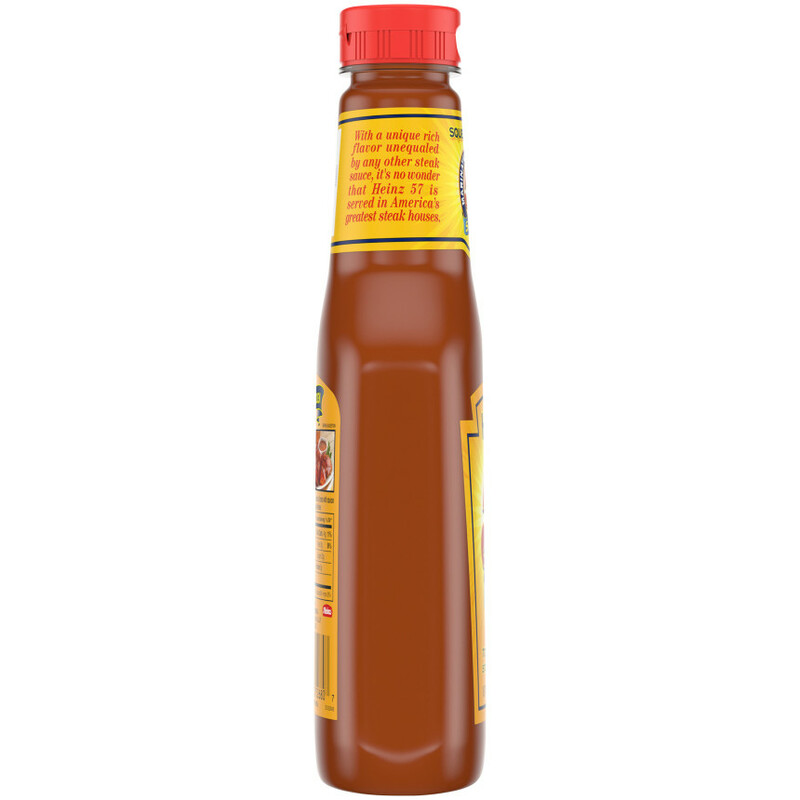 Our secret blend of premium herbs and spices has made heinz 57 sauce an american favorite for over 90 years! 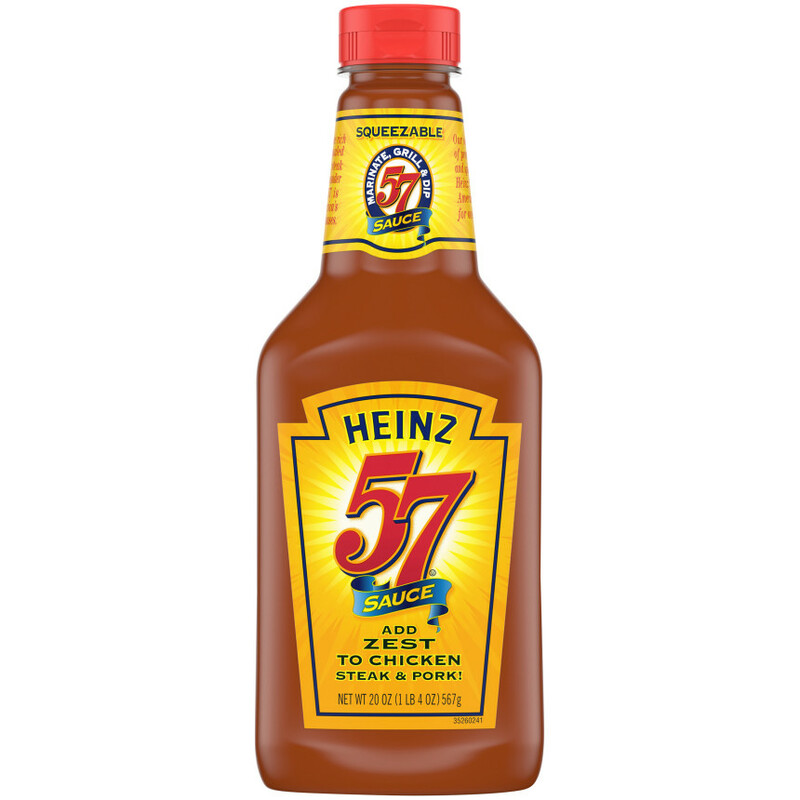 ; With a unique rich flavor unequaled by any other steak sauce, it's no wonder that heinz 57 is served in america's greatest steak houses. 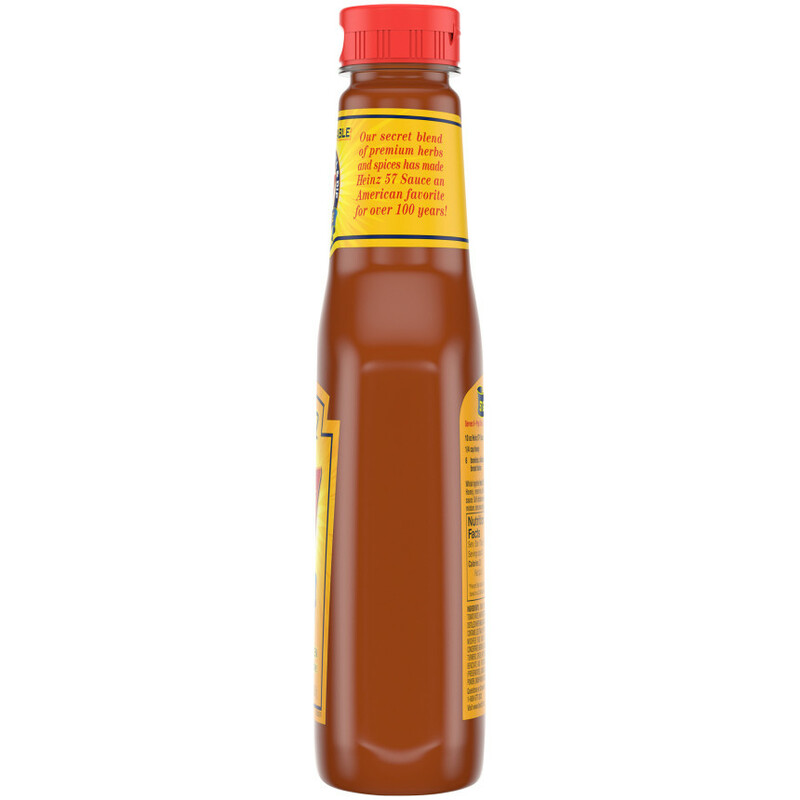 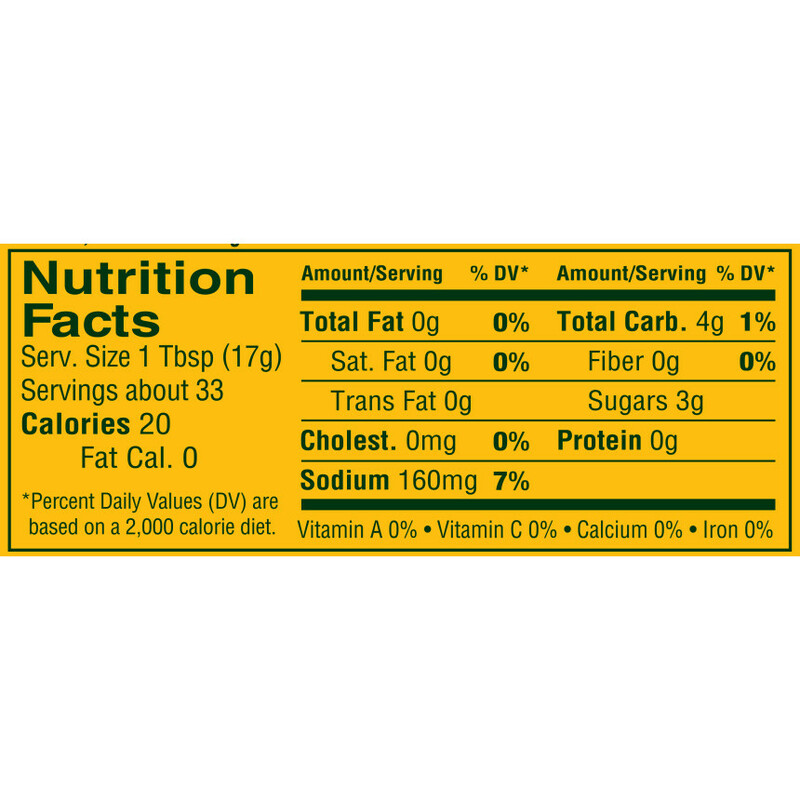 TOMATO PUREE (WATER, TOMATO PASTE), HIGH FRUCTOSE CORN SYRUP, DISTILLED WHITE VINEGAR, MALT VINEGAR, SALT, CONTAINS LESS THAN 2% OF THE FOLLOWING: MODIFIED FOOD STARCH, RAISIN JUICE CONCENTRATE, MUSTARD FLOUR, SOYBEAN OIL, TURMERIC, SPICES, APPLE PUREE, SODIUM BENZOATE AND POTASSIUM SORBATE (PRESERVATIVES), CARAMEL COLOR, GARLIC POWDER, ONION POWDER, NATURAL FLAVORS.